Even assignment experts can get better at digital marketing and improve their businesses. Many new and existing companies are already into this. 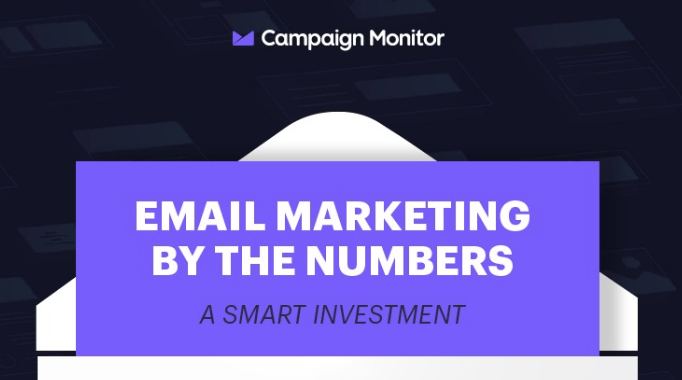 In short, businesses on a tight budget can even take advantage of the opportunities presented by various digital marketing strategies to run successful campaigns. It’s something anyone can learn and get better at. One thing digital marketers must understand is that there is no best strategy as far as digital marketing is concerned. What works for you may not work for another marketer. That’s the irony of this marketing process. But then, you can develop your digital marketing skills and become better at what you do. As you continue in the business and make an attempt to get better at digital marketing, your results will also improve. So, here are simple ways you can get better at digital marketer. You may have heard the word that “content is king” many times. That’s because it’s essential in any marketing campaign. Whether you are using images or infographics, you are still going to use texts somehow to explain your points. Your contents need to be unique and captivating. They need to add value to your customers or visitors, and inspire them to revisit your blog or website. How do you feel when you visit a blog laden with errors and vague ideas? Of course, you won’t have the inspiration or mindset to revisit the said blog. It’s your duty as the digital marketer to boost the confidence of your visitors. You need to write quality content that will help solve their problems and add value to their lives. Also, conversion is of utmost importance as far as digital marketing is concerned. So your contents should convert. Otherwise, you need to revisit and make changes to your content creation strategies. Try to use shorter paragraphs, compelling call to actions and make your contents easy to read. You can also consider using more of active voices in your articles. You should also check your posts for errors before publishing. And get rid of fluffs so your posts won’t annoy or mislead readers. You should also learn to conduct in-depth research to deliver highly informative contents to your readers. • Consider writing contents that are far better than your competitors’. • Write contents your targeted audience wants. • Develop strategies to help promote your content successfully. • Figure out the right search engine optimization strategy to deploy. But then, have in mind that Google’s algorithm changes every now and then. So you must have a sound knowledge of SEO and apply it strategically so your site won’t be affected greatly when Google’s algorithm changes happen from time to time. Besides creating powerful contents, another thing that can help you to get better at digital marketing is the tech product or service you are using. That’s why it is advisable for digital marketers to always upgrade their toolbox to the latest if not the best available. Get the most recent apps or software, and learn how to use them in the right manner. There are tons of software and tools out there for digital marketing. And each one of them has features that can improve the results of your marketing campaign and help you to manage your work effortlessly. Below are examples of digital marketing tools. • SproutSocial and many others. There is enough evidence that visual marketing is a great strategy that produces massive results. It’s also apparent that people tend to engage with visual contents more than texts. So whether you are dealing with images embedded in articles, infographics, animated GIFs or a stand-alone image, you can triple engagements and marketing results with visual marketing. The main thing is to learn how to use visuals to make your marketing campaigns a success. You can devote time to learn how to create infographics, software to use and standard for creating infographics that stands out. These things are not difficult to learn and the results can be massive. How active are you on social media? That’s the question every new or existing business should be asking whenever their marketing strategy is not delivering the expected results. The point is social media has become a vital part of every marketing strategy. And with the advent of numerous social networks, digital marketers now have more ways to promote their businesses, increase engagements and customer base. The power of social media in creating brand awareness and boosting sales cannot be overemphasized because a lot of people live and breathe on social media. Facebook, for instance, has over 2 billion active users. And there are other platforms besides Facebook you can take advantage of to create more awareness for your business and even record more sales. But then, you have to learn and understand how each social network operates and the best digital marketing strategy to deploy in each case. You should also learn to use feedback from customers to improve customer experience and make your product or services better. Data and metrics are vital for a successful digital marketing strategy. Both can help to eliminate time-wasting and cause you to focus your attention and energy on the right areas. According to paper writing pros, if you have a better understanding of where customers spend most of their time, especially on social media platforms, you can target them with specific content, incentives, or even product recommendation that will yield massive results. These are tips that will cause you to get better at digital marketing. You should also focus on documenting your strategies so that you can repeat a specific process that gave you better results. Digital marketing is evolving, and it has become a significant part of every marketing campaign. Being able to deploy the right strategy can also help you become successful in the business.